The right to free speech might mean that you’re safe from the government…but you’re definitely not safe from the people that have to listen to you. Green screens and makeup may fool the eyes, but in the end, it’s the media personalities who are fooling themselves when they believe those are enough to cover up their lies, laziness, and lechery. With the spotlight fully upon the news media in the Trump-era, hypocrisy and scandals are being uncovered every single day. It won’t be long until all the skeletons in these celebrities’ closets will be enough to create the graveyards of their careers. Read on to see which scandalous media personalities in no way deserve their wealth. 1988 saw the introduction of several enduring icons of American culture, different flavors for everyone’s tastes. Nickelodeon Jr. for the kids, Die Hard for the teenagers…and Rush Limbaugh for the Reaganite generation. Unlike many others of its time, The Rush Limbaugh Show effectively created the modern talk show format as we know it today. His balance of conservative monologue, fiery rhetoric, and easygoing humor built and maintained one of the largest radio audiences for nearly three decades at 14 million weekly listeners. 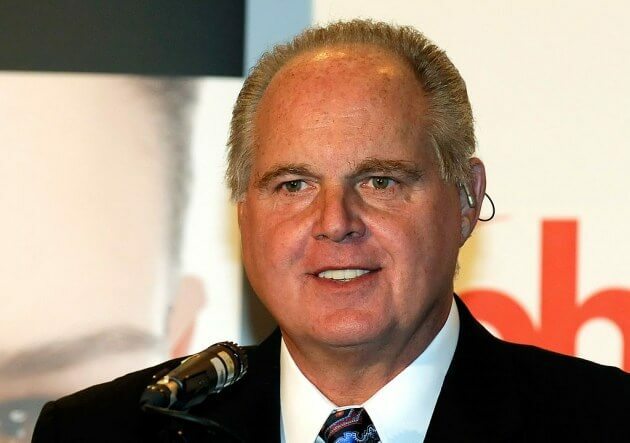 Fortunately for Limbaugh however, his wealth has matured far better than his hairline, earning a contract that doles out 80 million every year.